Another Take the stone yt groweth with in ye gall of an oxe grate it and drink of it in white wine as much as much as will lie upon a sixpence att once. For a woman that hath her flowers two much. Take a hares foot and burn it make pouder of it and let her drink it with stale aly. To cause a woman to have her flowers. Take Egrimonie motherwort avens and parsley shred them small with oatmeal make pottage of them with pork. 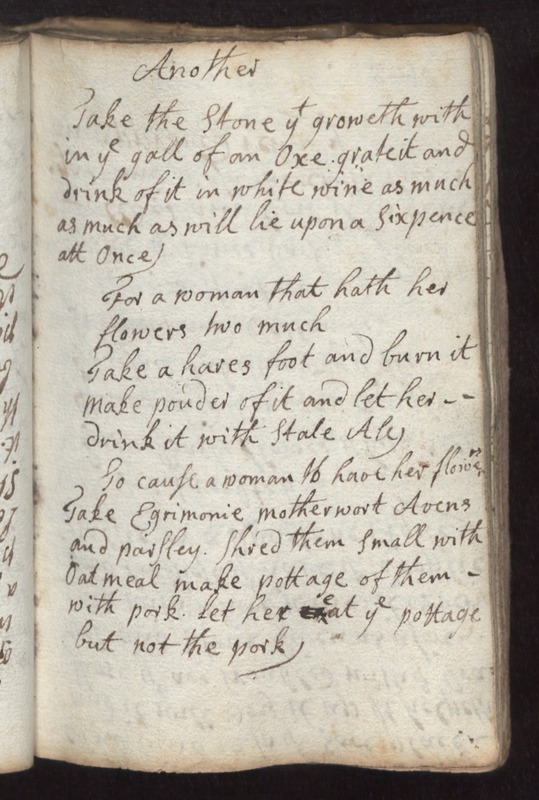 Let her eat ye pottage but not the pork.